Two-year-old chihuahua pug mix Samson is looking for his fur-ever home! He is potty-trained and leash-trained. Sampson loves cuddling, treats, and car rides. He would be best in a home with children 5-years-old or older. He is good with most dogs. 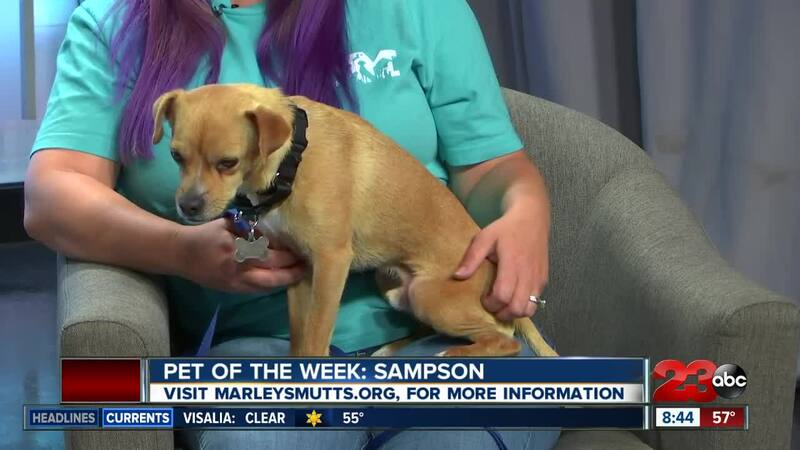 BAKERSFIELD, Calif. — Our Pet of the Week is two-year-old chihuahua pug mix Samson! Samson is a spunky, playful little pup who likes to be with other small dogs. He is great in a crate overnight, is potty trained and great on a leash too! Marley's Mutts says Samson likes children, but they need to be older and respectful of his space. He would be better in a home with children 5-years-old and older or in a home without children. Marley's Mutts says Samson would make a great outdoor or travel partner as he is the perfect size for a copilot! Samson is now hoping to find a fur-ever home in Kern County. If you would like to adopt Samson, head to Marley’s Mutts website .